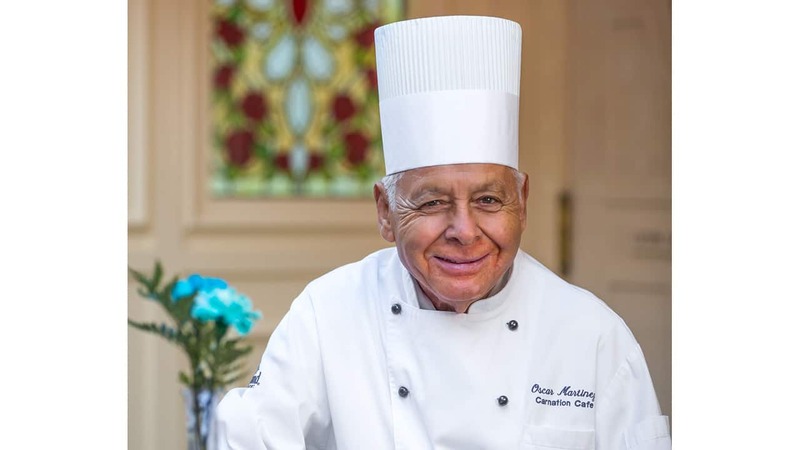 After more than 60 years serving up magic and memories at The Happiest Place on Earth, Carnation Café chef Oscar Martinez retired on September 27. Oscar began working at Disneyland on December 29, 1956 – a year after the park opened. Oscar originally worked as a busboy and later a grill cook in Fantasyland quick-service locations that sold hamburgers, hot dogs and chili. Moving to Carnation Café in 1967, Oscar has been a staple on Main Street, U.S.A., making famous his recipe for breakfast potatoes. 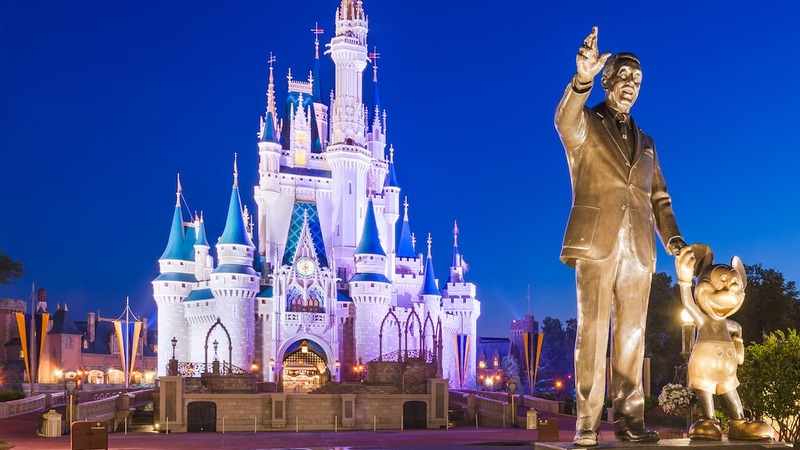 When asked what his fondest memories were of his time at the resort, first was seeing Walt Disney walk the park. To a young Oscar, Walt Disney seemed larger than life. Also among his favorite memories is working with and training many new cast members, including grill cooks for Tokyo Disneyland. Oscar plans to travel, visit with family, and just relax in retirement. Cheers to you, Oscar! Oscar, You will be missed by all who have ever got to meet you at Carnation Cafe… and that’s a lot of people. I remember when I met you on a Single day trip with my Sister and Brother and they told me how special it was to know you. I felt that same special feeling shaking your hand and hugging you! Such a warm and kind man with a passion to bring joy to others. I hope you enjoy your retirement and we see you walking down main street some day, just for the fun of it. It’s me again Mrs. Tina I so want to congratulate you but I am to sad,I know you told us when we saw you last that it was going to happen soon but I have never known Disneyland without you Sir and I look so forward to always knowing that you will be there and I’m not ready for this I never will be I will miss you forever Thank You for the best part of Mainstreet USA, Thank You for every moment of your time I hold your smile in my heart until we meet again. I am crying reading this and writing to you I will always be grateful to you for every visit we shared and all the conversations and hugs and photos,I grieved with you for your beautiful wife and I could never find the proper or right words to ever let you know how much you are so loved and so appreciated and so anticipated on all of our visits I have never known Disneyland without you,and I told you I never wanted you to ever leave,how do I do this now? How do I do Carnation?You will forever be one of my most favorite people on this earth and I will Love You Sir Forever Thank You! my heart gives you kisses and hugs and my eyes cry you were my Mainstreet USA. Congratulations, Chef! Enjoy your well-earned retirement! Your legacy will live on forever at Carnation Cafe and beyond. Bless you, Chef Oscar! May you have a wonderful, fun-filled retirement! Does anyone know a good address to send a thank you letter to Oscar Martinez? Who is the longest-tenured cast member now? My husband and I were lucky enough to visit with Chef Oscar on a kid-free visit to Disneyland a few years ago. Wonderful man, with wonderful stories. A perfect compliment to the Disney experience. Congratulations on your retirement, Chef! We’re going to miss Oscar but he deserves a wonderful retirement. We always made it a point to say “hello” whenever we took a trip to the part. He was always so friendly and happy (and a wonderful chef). He’ll be missed. But this change is alright. Thank you for the memories, Chef Oscar! I often tried to get into the Cafe and it was packed! But there have been times I was lucky and met you on several occasions. Have a great retirement! We wish you the best. Carnation Cafe has always been a favorite with my family. May you enjoy your future Chef Martinez! Oscar you are the best. We have seen you for years! We love your personality and of course your potatoes. 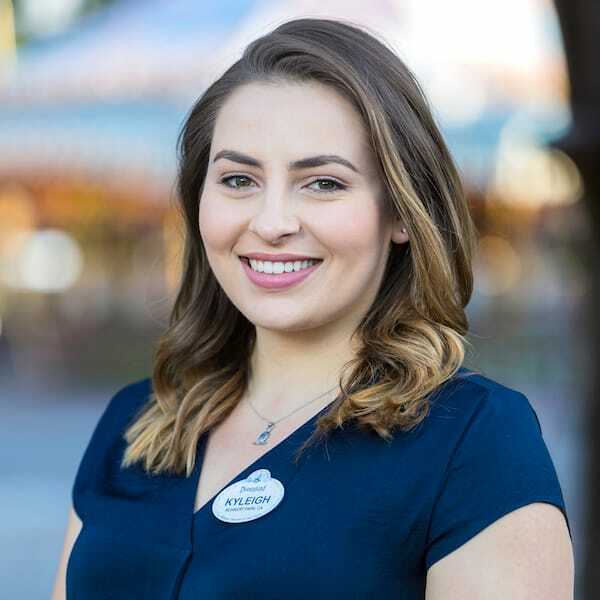 Thanks for all the years of Disney Service! We will miss you but have our memories. Enjoy retirement! Congratulations Chef Oscar! We were lucky enough to run into you several times over the years. You were always genuinely nice and we could tell you really cared about everyone’s experience at Carnation. I’m so glad I asked for a photo with you. Enjoy retirement! Congratulations,. We were hoping to see you in November and have autograph 6my Disney Line that had your picture on it that was when you had. 50 year. You will be missed. Our family feels so fortunate to have met Chef Oscar. We so hope he has an amazing retirement and thank him for all the Disney magic he has given to all throughout his time at Disneyland! Congratulations to Oscar, and a fond farewell. So many of us will miss seeing you! All the best to Chef Oscar. He was the epitome of a Disneyland Cast Member. I’m so happy to have met him!